Bails spread word of what he learned in his interview via a two-page piece he distributed via mail to his personal network. Fagan also wrote an article that was not formally published, but others did see it. Fewer (perhaps almost nobody) knew of Porfirio's interview till much later. 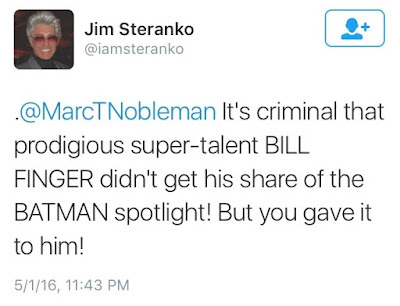 Given that some of Steranko's interview was incorporated in a book, it reached the widest audience of the bunch. During my research for Bill the Boy Wonder: The Secret Co-Creator of Batman, I was fortunate to communicate with three of the four men, all of whom were helpful. The other one is the only one still alive—Jim Steranko. Bails died in 2006—mere months after I interviewed him (and, sadly, six years before the book would come out). Without Jerry Bails, we might not know about Bill Finger. Fagan died in 2008. 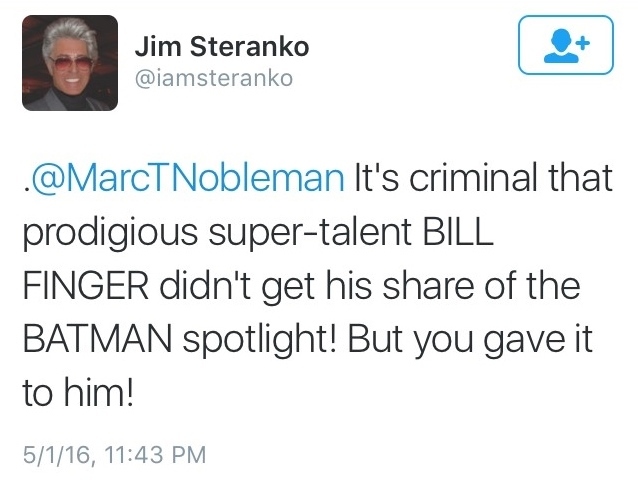 The article he wrote based on his interview with Bill ("Bill Finger—Man Behind a Legend") was "lost" but resurfaced in 2009. Porfirio died in 2014. His 28-minute interview was recorded on audio and was also "lost," rediscovered in 2008. It is transcribed in Tom Andrae's Creators of the Superheroes.